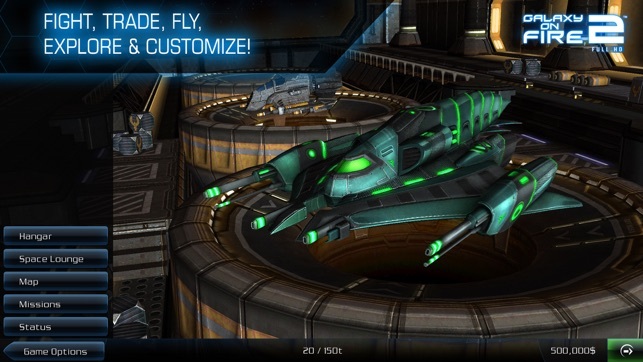 Galaxy on Fire 2™ HD is a premium-quality 3D space combat and trading simulation with adventure and RPG elements. 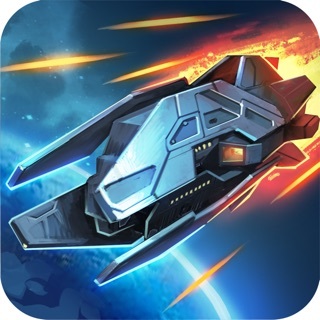 Take over the role of the hot-headed space war veteran Keith T. Maxwell and save the galaxy from its impeding destruction by the hands of devious alien raiders, ruthless space pirates and power-crazy madmen! Take on new adventures and face new challenges with the extensive new expansion pack Supernova™ and the critically acclaimed first add-on Valkyrie™ (available via in-app purchase)! 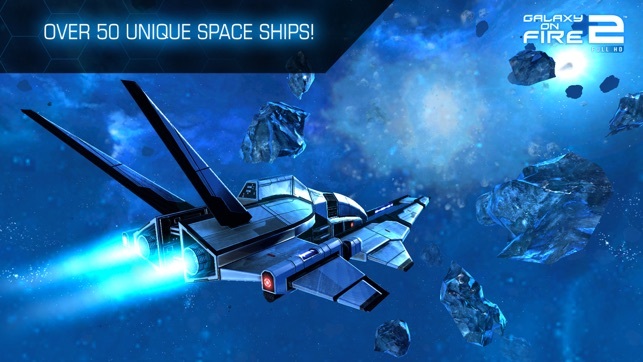 Fly new space ships, mount new weapons, meet new characters, visit new star systems and experience new campaigns with a combined playing time of more than 20 hours! In addition, you can also purchase your own space station, the infamous Kaamo Club, in order to store tons of items and park or even pimp your favourite ships. 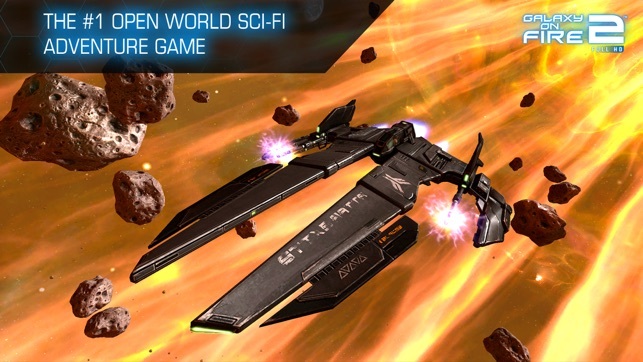 The international press loves Galaxy on Fire 2™ HD and calls it "the best space shooter in the App Store" (148 Apps, 4.5/5 points), "a Freelancer for the iPhone" (Gamedot 10/10 points) and "a must-have for the heavy gamer on the go" (AppCraver, 5/5 points). 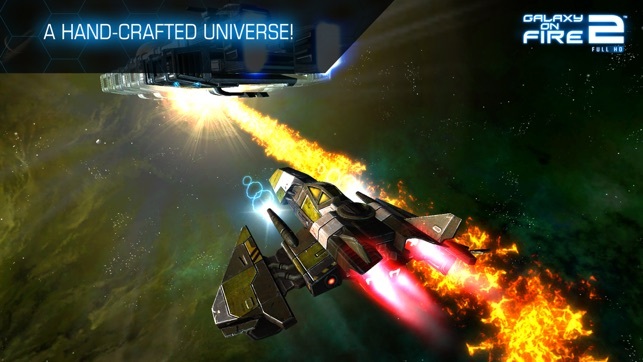 The fans have given Galaxy on Fire 2™ HD thousands of 5-star ratings! According to them, it is not only "a must buy for all space fanatics" (xxAltitud3xx) but it is also "so good that it makes me wonder why anybody would bother playing video games on anything but an iPad" (LunarFlame13)! Galaxy on Fire 2™ HD works on iPhone 4S (or higher), iPad 2 (or higher), iPad mini (or higher) and iPod touch 5G. Best si-fi game since 'Empire At War! I thought it would be easy to make an open-world space action/adventure RPG with a 3D element. 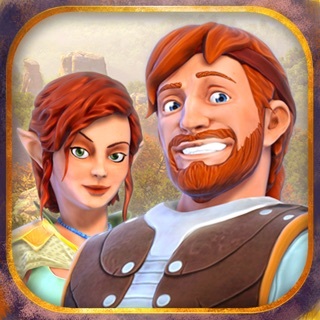 Apparently, I was wrong, because there's only one such game, but, by the force, it is the BEST! The mechanics are simple to understand and easy to master, but still fun and complex. 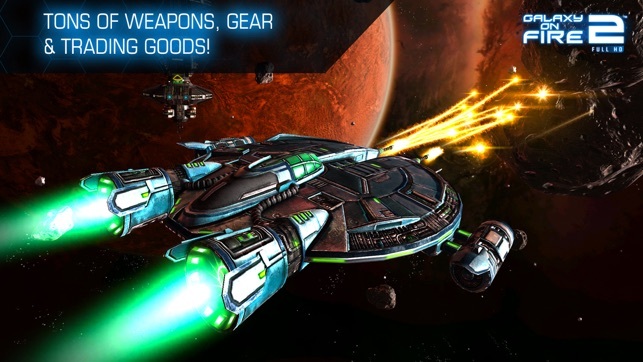 The trading simulation brings a unique and special twist to space games, and the add-ons make it even more fun. Wait, a sequel? More add-ons? A MOVIE?! Wow, Fishlabs, shut up and take my money! 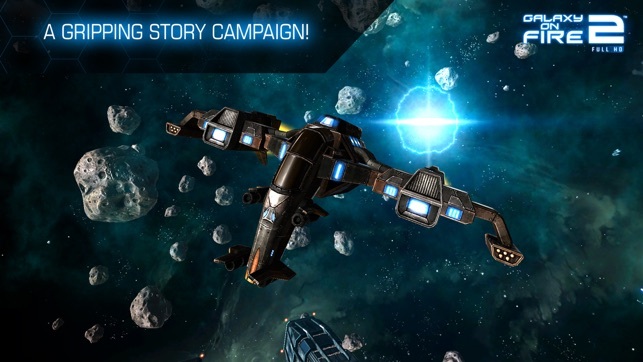 This game is a great implementation of the Elite-like formula for a mobile device; The graphics are good, the controls work fine, and the gameplay system is sufficiently deep to let you immerse yourself in the life of a starship pilot. Additionally, the game has no premium currency, so you can get any item in the game just by playing. Overall, a great offering. I feel that this is a good game. I would like to change the game so that wingmen could be set on trade routes to get you money. Also you should be able to make a company and take over a company.